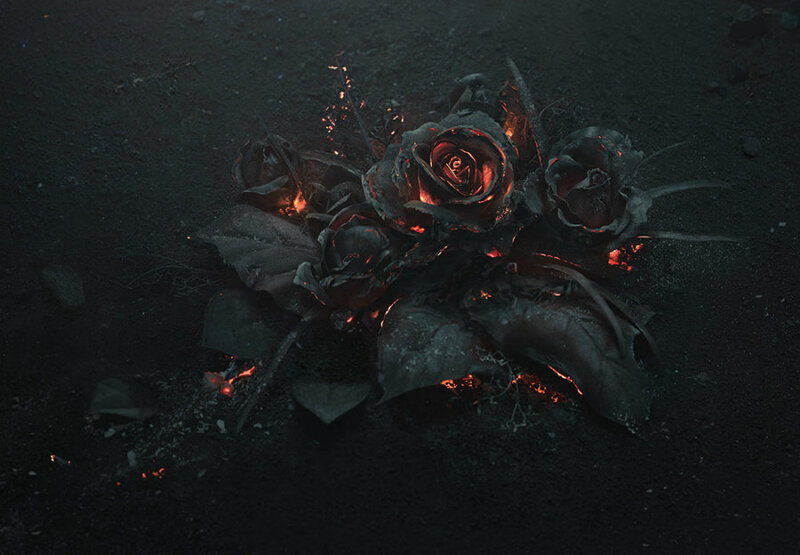 As part of a reference photoshoot for an illustration project by Warsaw-based creative studio Ars Thanea, a bouquet of roses was set on fire and photographed as they smoldered in the dark. The glow of the dying embers is strangely evocative, it would be amazing to see an entire series of different flowers photographed like this. 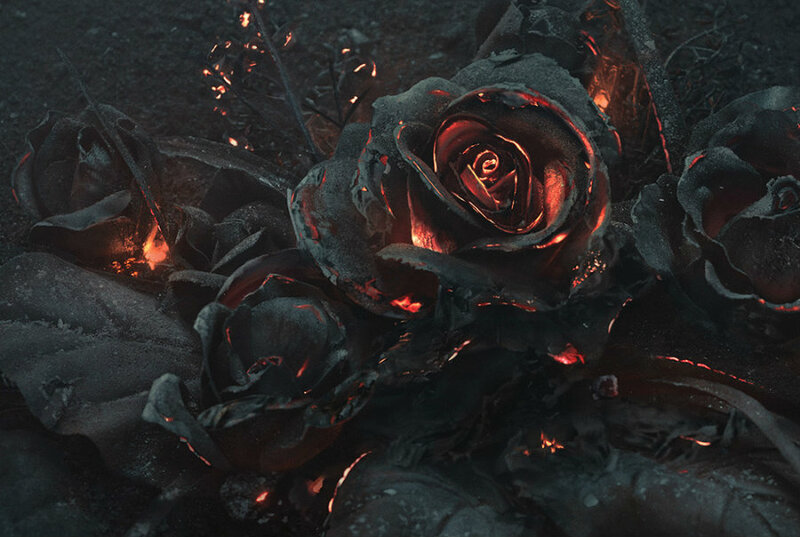 via A Smoldering Bouquet of Roses Photographed by Ars Thanea | Colossal. This entry was posted in PHOTOGRAPHY and tagged plants, Popular. Bookmark the permalink. A piece to my heart.